Male dog belly bands are essentially "diapers" for male dogs. They provide a protective barrier between your dogs urine & his environment. What are some of the reasons male dogs need a belly band? 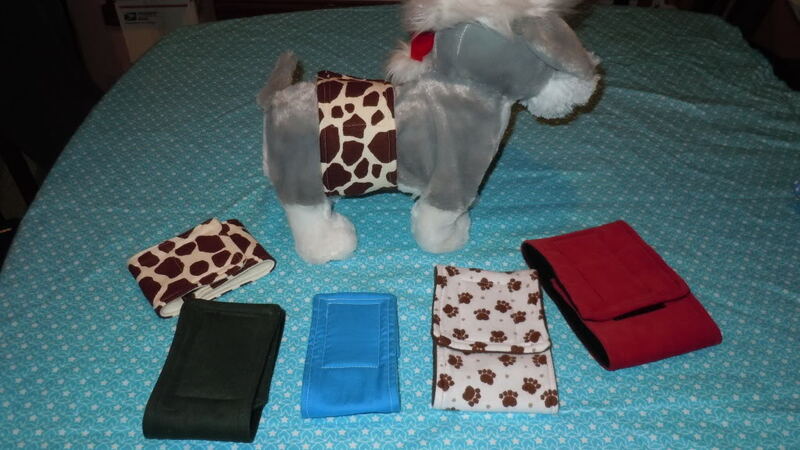 Belly Bands can benefit pet owners, breeders & even rescues. My belly bands are designed to last! They are machine washable (gentle cycle, cold water). Although you can use the belly band as it is I highly recommend using a sanitary pad on the inside of the belly band. Not only does this extend the life of each belly band but it is more sanitary for the dog. Extended contact to moist fabric can lead to infections. Sanitary pads help to pull the moisture away from the dog. I use 2" wide Velcro to help insure the band stays in place! I do NOT use elastic in my belly bands. I have tested them and talked to many happy customers. As long as the belly band is fitted properly and the pad is checked at reasonable intervals there is no need for elastic. If elastic is used too tightly and left in place for extended periods of time it can hurt your dog. Some vets will even advise to you NOT to use bands with elastic due to risk of injury! 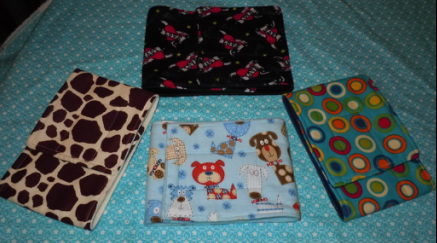 All my belly bands have a soft fleece interior for maximum comfort. Exterior Prints may very in material. I typically use Flannel, Cotton, Corduroy or Denim. SHOULD YOU NEED ADJUSTMENTS TO ANY OF THE SIZES BELOW FEEL FREE TO ASK! 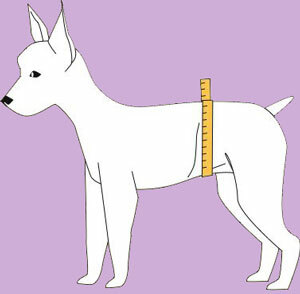 Measure your dog around his "waist"(the private parts you need to cover). Allow about 1/4 inch for a sanitary pad. Belly Bands should fit "snug" but NOT "tight"
Longer bodied dogs MAY need a band that is wider then the size listed to ensure full coverage. 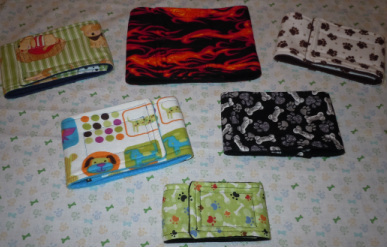 My belly bands are made to order so please allow me 24-72 hours to make orders of 1-9 belly bands. Orders of 10+ may take longer. All belly bands are hand made. Please understand that no two bands are ever identical. Although I try to make bands to a set "standard" slight variations occur. All bands in this listing WILL fit the waist size selected. Also, it is hard to make every band PERFECT (Although I try!). VERY slight "blemishes" may occur. I do not sell products with any kind of "defects" that will affect their use but sometimes under very close inspection you might find some kind of extra small "blemish". (ex: as a small stitch that does not line up perfectly.) This is to be expected with most hand made items. Sorry, I can not except returns on belly bands. This is for health and hygiene issues. Please measure your dog before purchasing a belly band to insure proper fit. I do my best to accuracy describe each item. Each belly band is triple checked before shipping to ensure it is up to an acceptable standard.